Managing multiple WordPress websites can be a challenge for even the most seasoned WordPress users. With a management solution, however, the process is streamlined. Making it easier than ever to manage all of your sites from one central location. Let’s take a look at some of the most popular solutions. InfiniteWP is a management solution for WordPress websites that works from your own servers. Thus, you download and host InfiniteWP from your own server and run it therein. Unlike ManageWP, InfiniteWP does not operate remotely from its own cloud clusters. The feature set is pretty standard, including backup and restore as well as one-click updates. InfiniteWP core product is free. However, there are paid addons, such as integration with Google Analytics, malware scanning, cloud backup of your sites, etc. MainWP is also a self-hosted solution. In fact, according to the home page, it seems highly opposed to the SaaS model. MainWP is free and comes with a malware scanner and hardening, uptime checks, one-click updates, and a lot more. You can get your hands on premium extensions by opting for a MainWP membership plan that costs $29.99 per month and is available for an unlimited number of websites. 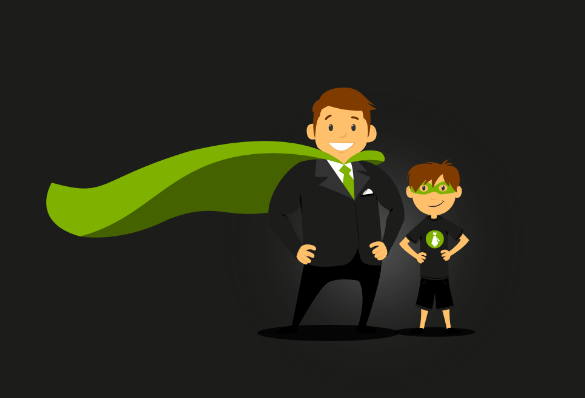 There is a 30-day money back guarantee for you to give MainWP a spin and try it for yourself. iThemes Sync has been around for quite a while. It is not a self-hosted offering and instead works almost exactly like ManageWP. You install a plugin on your website, and then add that to iThemes Sync. Thereafter, you can perform updates and other actions from Sync Dashboard itself. 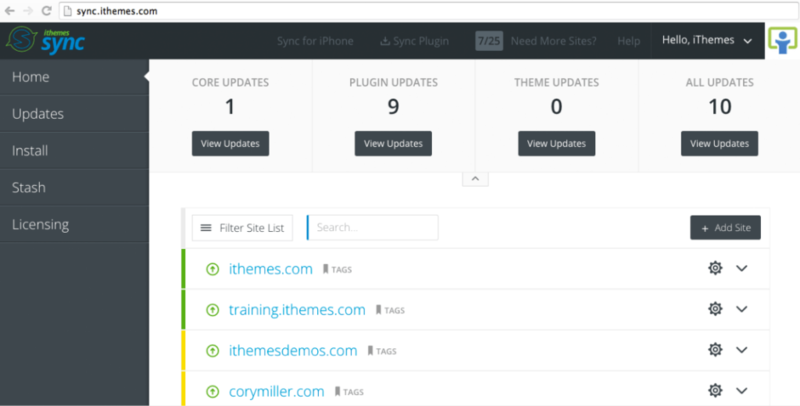 iThemes Sync lets you add up to 10 websites on the free plan. You can integrate with external services, such as BackupBuddy. Other paid plans include $50 per annum for 25 websites and $90 per annum for 50 websites. 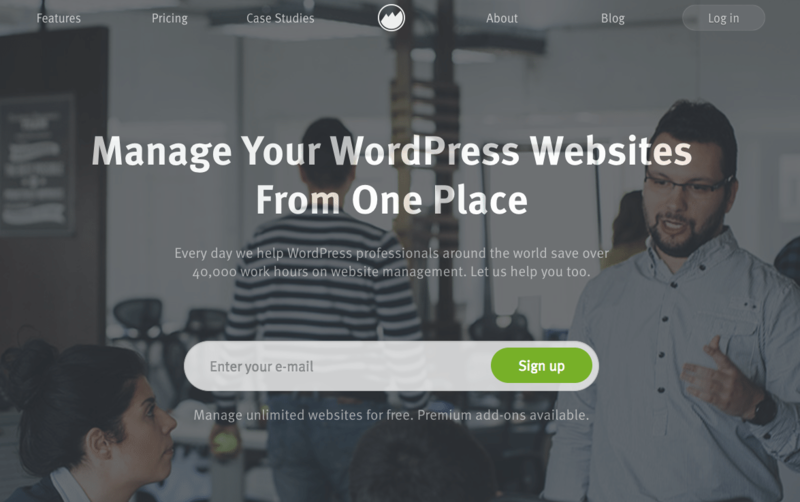 Recently acquired by GoDaddy, ManageWP is a premier solution when it comes to remotely managing multiple WordPress websites. ManageWP has a flexible pricing structure. Plans start out free and are modularized so you can add features new such as backup, uptime monitoring, clone, or SEO ranking for an additional fee. WP Remote is a rather unique service in this league. First, it lets you monitor unlimited websites and perform theme and plugin updates for free. Secondly, for advanced users, it offers a JSON based REST API that you can use to integrate WP Remote in an existing process. WP Remote does not ask for the username and password to your WordPress websites but instead relies on API keys. Bear in mind that you need to register and signup with WP Remote before you can start adding websites. Going by its name, one might assume CMS Commander was something that would play well with multiple CMSs as well as WordPress. However, CMS Commander calls itself “WordPress command center” and that is what it is. You can use it to monitor, backup, and optimize or manage your websites. The pricing structure is, unfortunately, a bit complicated. The free plan lets you manage 5 websites but only with basic management options — no backups, website cloning, backlink monitoring, or whitelabeling etc. The paid plans come with various added tools, such as whitelabel options, backlink monitoring and affiliate marketing tools. These features sound more like a website promotion solution. You pay for the number of websites as well as the number of users. Thus, if you have 10 websites but only one person to manage them, you can go for the $12 per month plan. However, if you have just one site but need three people to manage it (say, one for affiliate marketing, the other for updates and the third for anything else you might need), you will have to go for the $20 per month plan. If you’re unsure, try out the 14-day free trial. iControlWP lets you manage your WordPress websites remotely and securely. You can perform updates, backup your content, and secure your websites. iControlWP also offers daily automated backups of your data. iControl doesn’t offer a free plan, but you can do a free trial. The cheapest plan costs $15 and lets you manage 10 websites. The other plans include $39 for 15 websites and $99 per month for 50 websites. iControlWP is mostly for folks who are keen on security and backup features: you get malware and security scans as well as database cleanup and offsite backups on almost all the plans. WP Dash is a management tool with all the standard features that you can ask for. You get analytics and statistics, keyword research, SEO features, one-click updates, uptime monitoring, etc. You can integrate WP Dash with services such as CloudFlare using addons. The cheapest plan lets you manage 20 websites for $18 per month. Other plans, that cost $30 and $100 per month, let you handle 100 and 500 websites respectively. Bear in mind, the blog has not been updated since 2015. 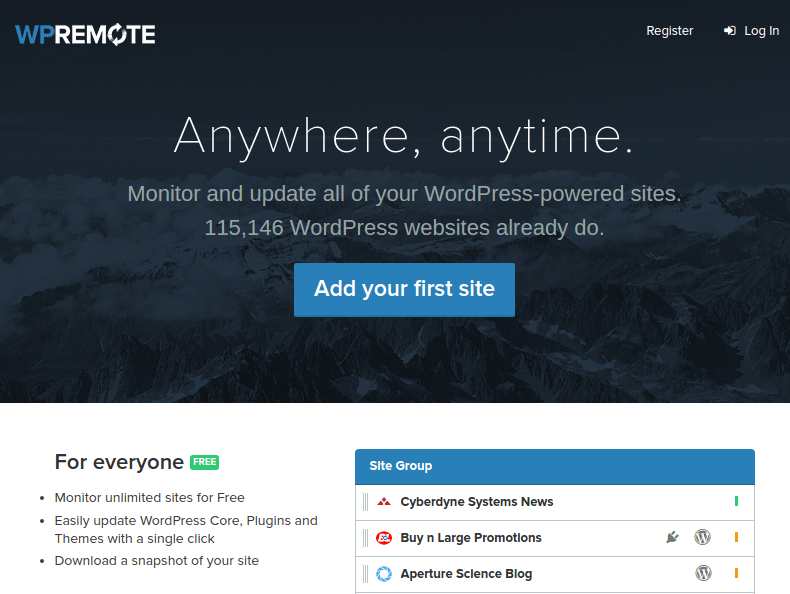 Basically, once you activate the Manage module on a Jetpack-enabled website, you can manage that website from your WordPress.com/sites page. You can update plugins and themes, view stats and even add posts from there. If you are on the paid plan, such as the $99 per annum plan, you can also make use of features like offsite backups, malware scanning, anti-spam measures, etc. 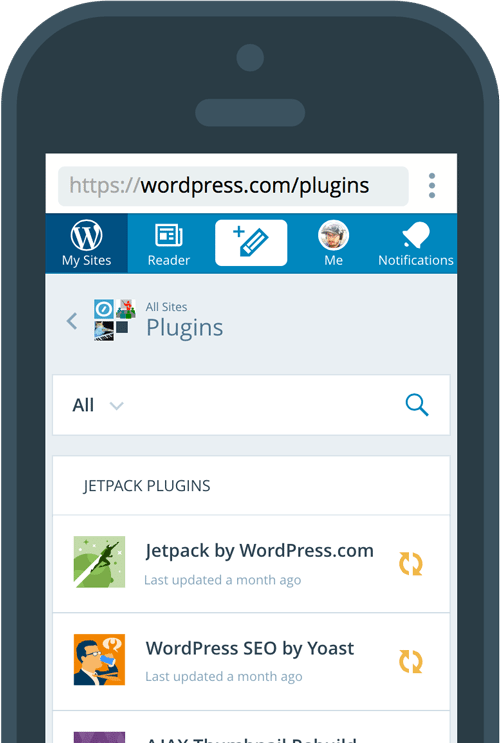 Jetpack Manage doesn’t have any limit on the number of websites that you can add even on the free plan. If you are looking for a simple solution to manage your sites without burning a hole in your pocket, this is the best option for you! Which of the above services do you use? Share your views in the comments below!